Holiday Inn Express Sydney Macquarie Park is located in the heart of a major commercial precinct in the North West of Sydney. The location of the hotel makes it ideal for servicing businesses and residents in North Ryde, Macquarie Park and the Riverside Corporate Park. The hotel is within walking distance of the redeveloped Macquarie Shopping centre and Macquarie University. The hotel is easily accessible via the M2 motorway or the Sydney train network, with a stop on either side of the hotel. 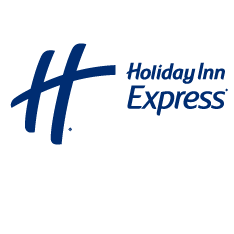 Holiday Inn Express Sydney Macquarie Park is the smart choice for the value conscious business and leisure traveler. Delivering a fresh and uncomplicated stay for guests on the go, offering them exactly what they need, a great night's sleep in a high quality hotel with free and fast WiFi, free Express Start Breakfast or a Grab and Go option. Holiday Inn Express Sydney Macquarie Park offers a convenient location to meet the growing demand for quality contemporary accommodation at a smart price.